I have been living in Ericeira for some years now and I’ve been following the evolution of this little corner about 50 km from Lisbon. 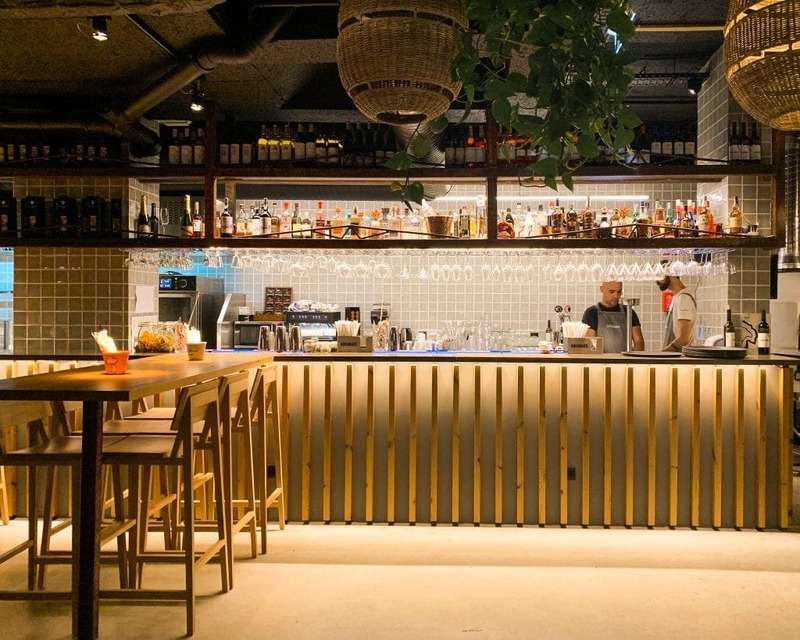 One thing that has come up, and well, are new restaurants that have improved the local offer. 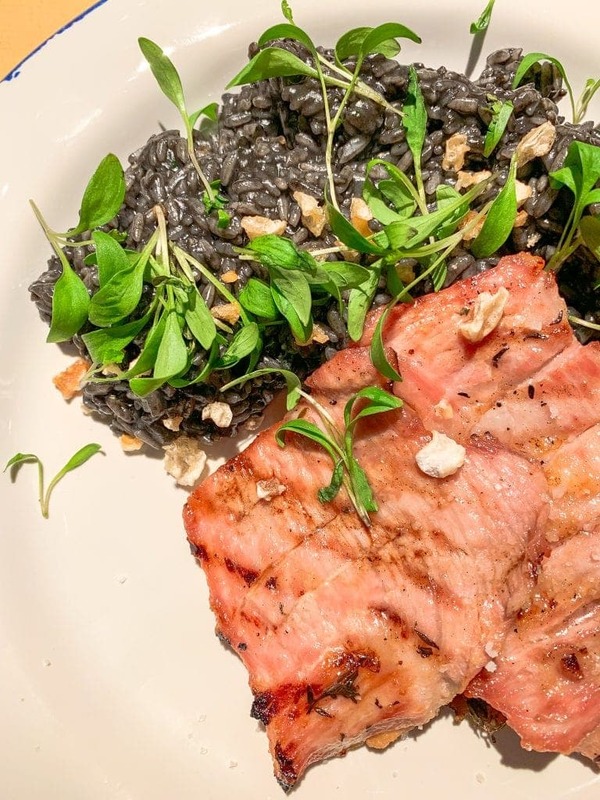 Who lives or is on vacation in Ericeira no longer needs to go to the Portuguese capital to have a good meal. 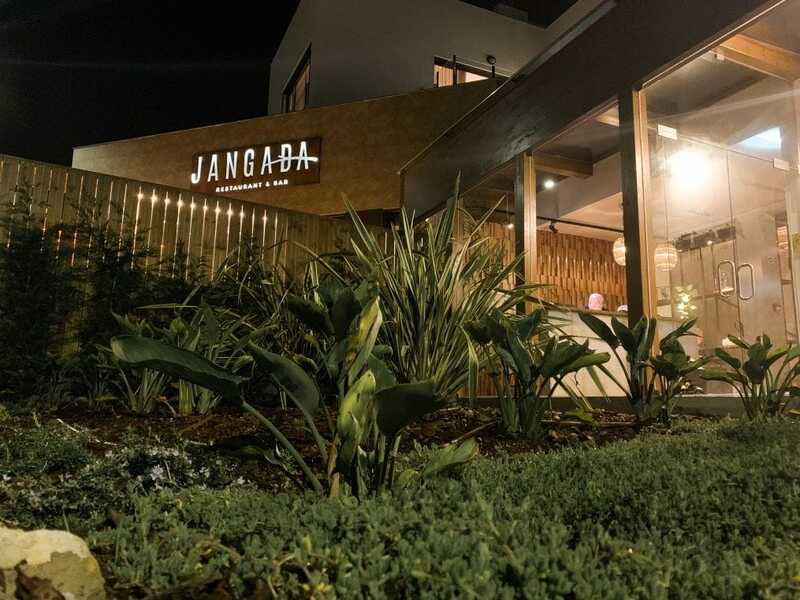 Inserted in the You And The Sea — a recent hotel that opened its doors this year — the Jangada (in english, Raft) is a new restaurant that combines flavors, in a relaxed atmosphere next to the Praia do Sul (South Beach). As I decided to visit the Jangada for dinner, I opted to sample a meat dish — the Secrets From The Sea! At the table arrived some pork accompanied by black rice with cockle and some crunchy touches that the menu defines as pork popcorn. It was excellent! Well, I might have let the rice cook for another minute or so, for it seemed to me a little hard… but nothing to spoil the meal. Next came the Beef It, a black angus steak, accompanied by sweet potatoes and salad with one of the best seasonings I’ve tasted lately. 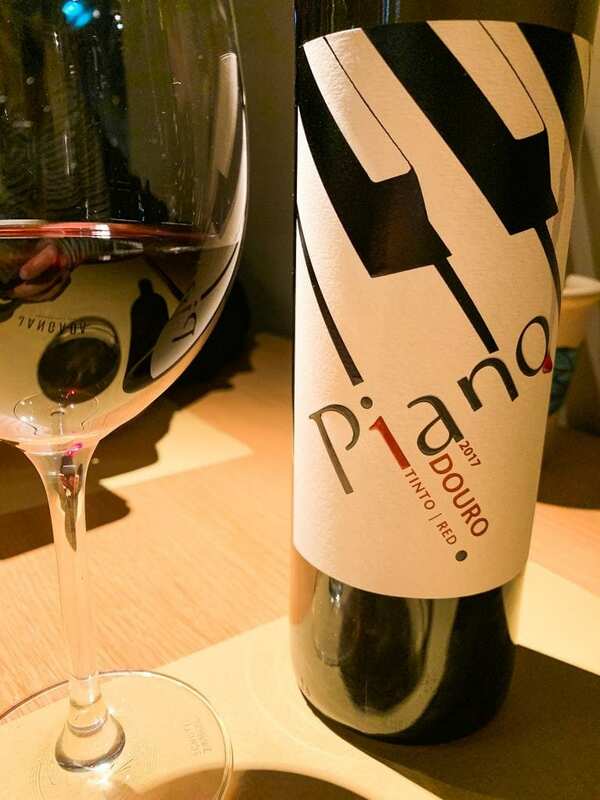 To accompany the meal, we chose a red wine from the Douro region: the Piano. The wine list is not extensive, but the head waiter confessed that he was working on a new list and that there would be some new surprises. With so many people talking well about it, I had to try it. And you know what?… Pavlova is a must-have!! Just the appearance of the dish leaves us salivating and from the cream to the edible flowers, nothing was left in the dish! Final note for the service, very considerate, and for the decoration. It can be said that the place still smells like new. 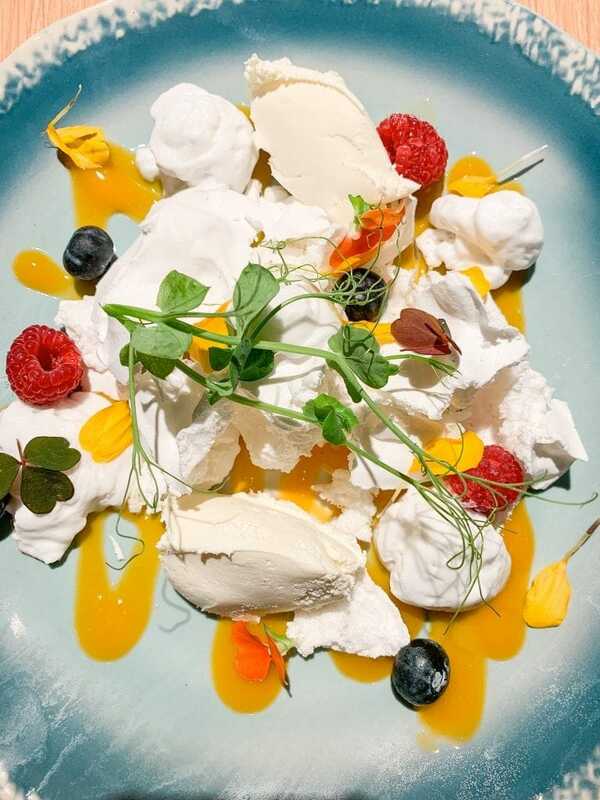 Wow I really love the picture of the Dessert Pavlova. Would love to try it too the next time I am in Portugal. Hi, Anisha. You just have too And Ericeira is such a cute little town. You’ll love it. looks like a great place for an unforgettable dinner. Well, your photos make it seem so. Theyre all great. And yeah, im a big fan of pavlova, good thing they serve it. You would love this one, Jen Thanks for your comment. The ambiance and Pavlova seem to be the highlight of this restaurant. I would love to try it out for an evening dine in. Thanks for sharing the review. Glad you liked it, Anjali. Thanks for stopping by. Thank you for sharing this lovely, honest review with us. As you said, there seem to be a few things they could improve but still, it looks like a lovely place. Hi, Daniel. I’m glad you’ve enjoyed the post. It’s definitely a cool place to try if you ever in Ericeira, Portugal. this place looks very pleasant and I really hope to go here one day! Hope you have the chance, Alan. Thanks for stopping by and happy travels! 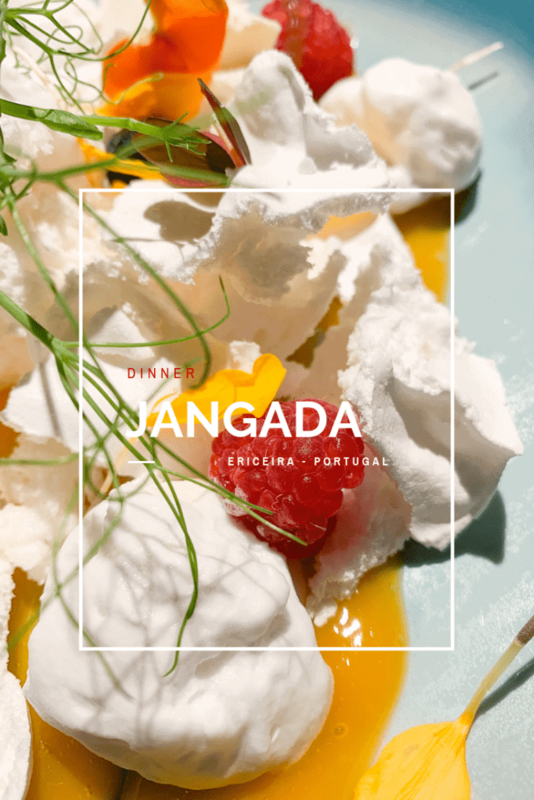 Jangada looks like a cool place to eat out in Portugal. As the restaurant is located on the south beach, so the name suits it. The dessert looks very tempting and I would love to try it out with those edible flowers. I always love the honest reviews of the place. Thanks for sharing the one with beautiful ambience. My pleasure! Thank you for the kind words. Aloha!